Looking to add a barrage of ports to your MacBook? 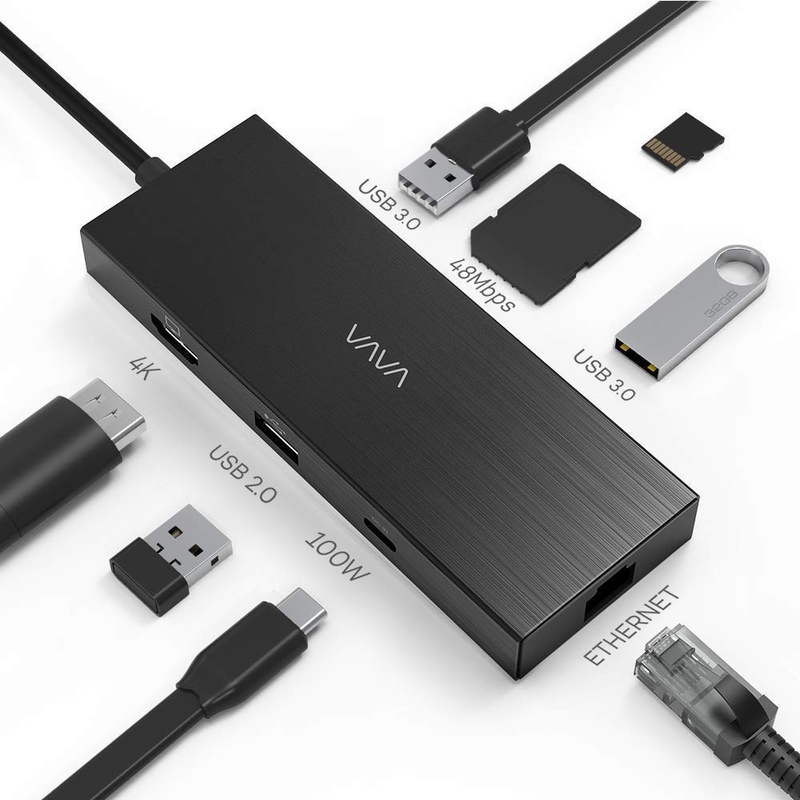 Then this VAVA 8-in-1 hub is all you need. And it’s probably overkill too, which is a good thing. USB-C is totally happening and there’s no stopping the revolution at all. And if you have a drawer full of legacy devices then it’s a good idea to invest in a good USB-C hub in order to keep everything as compatible as possible and even add those ports to your MacBook which you might need down the line. That’s where products like the VAVA 8-in-1 hub come in packed with a barrage of ports. Once plugged into your USB-C-only MacBook, you end up adding x3 USB-A ports, two of which are USB 3.0, SD card reader, Ethernet, 4K HDMI out and a USB-C port that supports up to 100W of passthrough power. If we’re to take a guess at this point, it’s likely that this hub adds more ports than your previous laptop probably had. Is that a good thing? Yes, it is. More ports are always better. Last but not the least, this hub is designed to last and is made of metal, ensuring a premium feel at all times. We highly recommend that you go ahead with this hub since it is a great way to keep things live and plugged in whenever you need them on your MacBook. In order to bring the price down to $39.99, please make sure to clip the on-page discount coupon of $20.